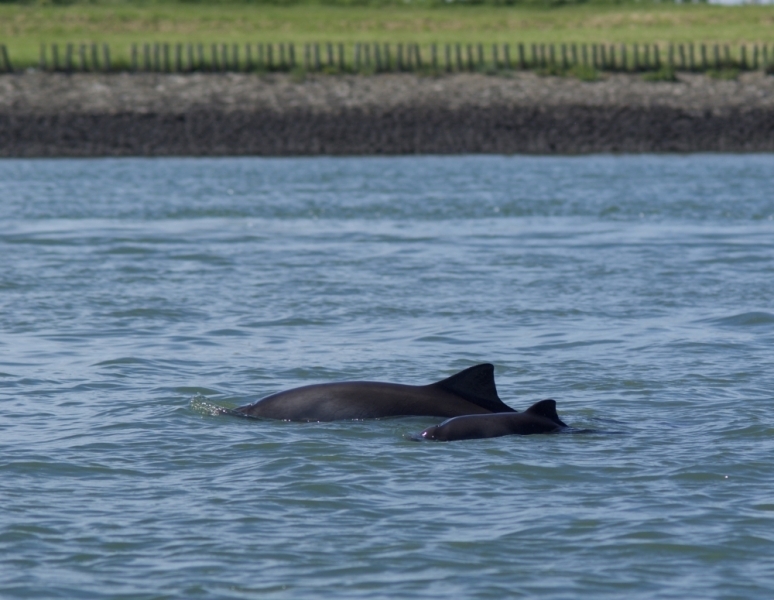 You can spot them regularly in the Eastern Scheldt. From a boat, but especially from the dike. The fact that you can see them from the shore is very special. Watch out, they do come out of the water for a moment. You can only see a glimpse of a piece of back with a triangular fin. With a little patience and good research, you should be able to spot them. 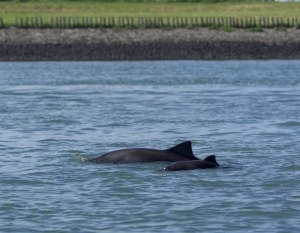 The harbour head of Zierikzee is the most likely place to observe a porpoise. But also at the harbour of Burghsluis, off the coast of the Plompe Toren, harbour of Burghsluis, Wissenkerke, Colijnsplaat, Goese Sas and near Wemeldinge the chances are great. 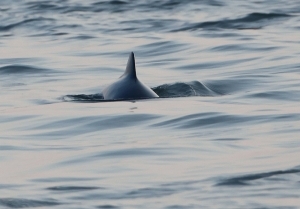 These locations can be found on the porpoise spotter.